Hey y'all! 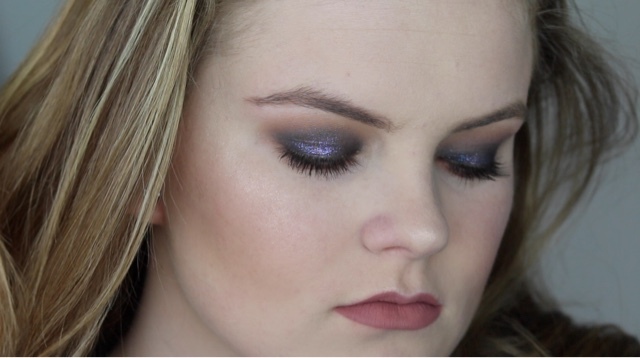 Welcome to week two of the collaboration series I am doing with 1998 Beauty. I am super excited about this weeks looks just because I really feel like they match, I tried something a bit different, and then they eye look is just perfect! If you missed last weeks check it out here. Now let's go take a look at this weeks! First up here is a look at both looks and then we will get started with the details! 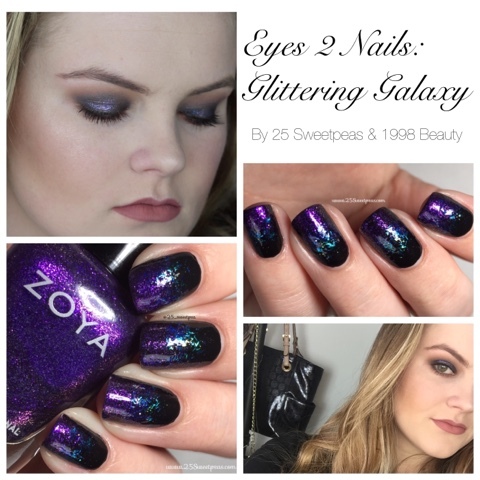 For this look 1998 Beauty used Rex, and Dance Party by Colour Pop. 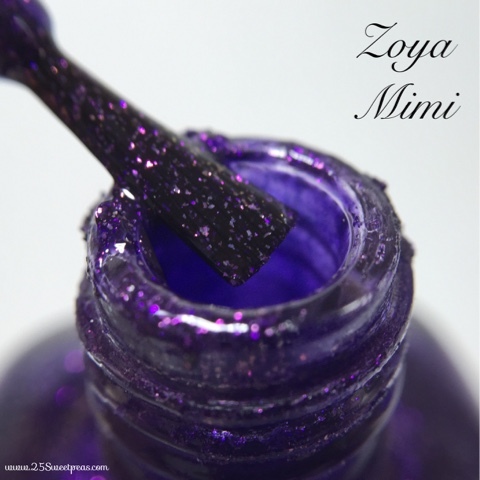 I used Willa, Mosheen, and Mimi by Zoya. I do have close ups of those for you to see real quick too! 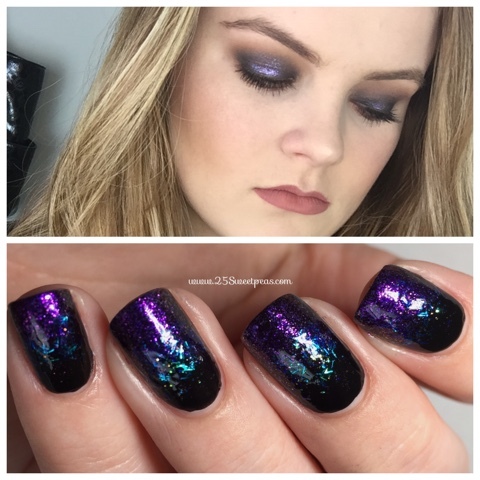 I feel like the purple matches perfectly to the eye look! I am obsessed with it! So so gorgeous! Now here is like the official nail look photo! 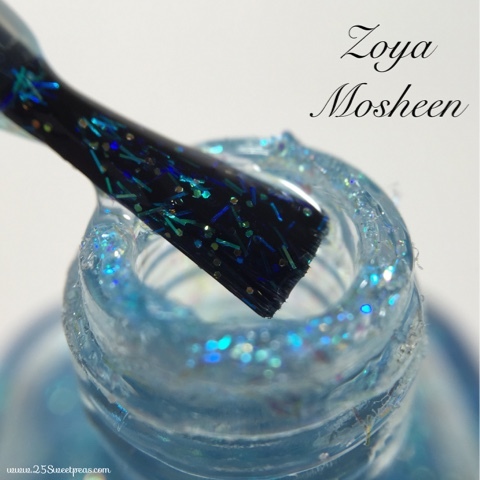 I started with a black base, then I used an eyeshadow applicator and sponger on a stripe in the middle of Mosheen. Then the same with Mimi on the tip. I am now pretty obsessed with this look! 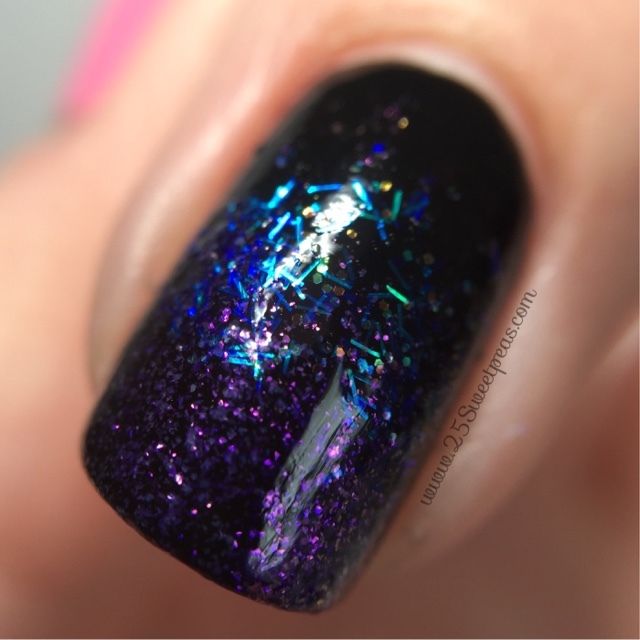 I had never done with type of thing on black with translucent polishes and I feel like it came out super neat. 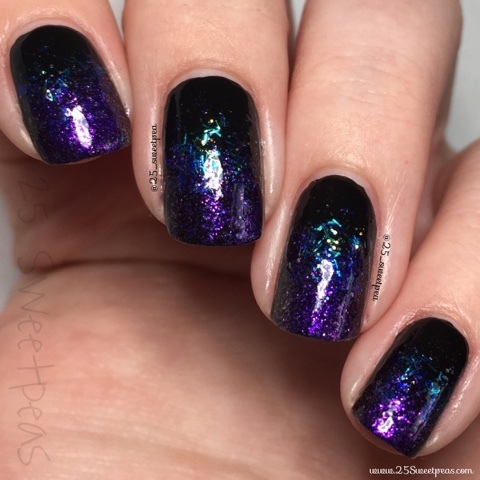 Definitely has a galaxy vibe to it. Hey guys! I am absolutely in love with how this weeks looks turned out! They are both so fun and perfect for any event. One of the reasons I love ColourPop is the eyeshadows are so pigmented and the glitter in the shadows are gorgeous. I really wanted this look to show the glitter and it turned out exactly how I wanted. I think the Halo eye technique is perfect when using glitter. Don't forget to tweet us if you recreate any of these looks! We would love to see them! Thought it would be fun to see the glitter up close! 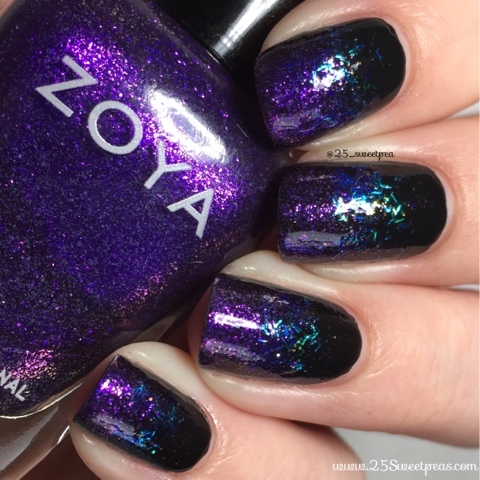 I love how the glitter bars show up on the black! Just super neat and unique. Now time for the makeup tutorial! Which I just love! Isn't this look just gorgeous!